Brexit - Former Tory Leader Admits EU Negotiations "Look More Like A Capitulation"
It was of course to be expected that Mr Nigel Farage, former UKIP leader and Brexiteer par excellence, would criticize UK Prime Minister Ms Theresa May as she agree to an extended transition period for Brexit, meaning the process would be delayed beyond the foreseen date of March 2019. 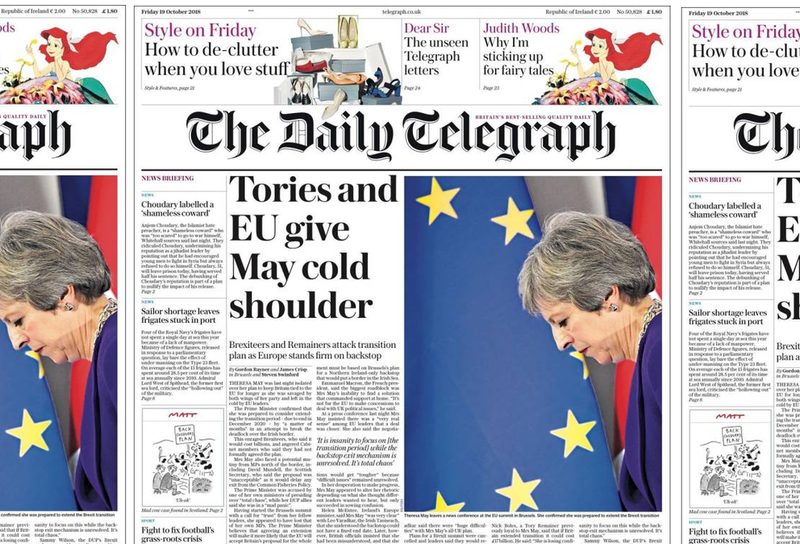 However, now media in the UK all say in unison that agreeing to lengthen the transition period without getting anything in return makes it seem that the EU has its 27 members far more united than the governing Tory party is. Related coverage: <a href=" https://thegoldwater.com/news/39715-Nigel-Farage-Furious-Over-Brussels-Deal-Theresa-May-Is-Betraying-Brexit-Video"> Nigel Farage Furious Over Brussels Deal: “Theresa May Is Betraying Brexit” (Video)</a>.